A few words that describe Musket Cove… Relaxed, casual, friendly, barefoot, peaceful and just the place if you like sand between your toes. Yes, they have white sand beaches and clear blue waters, like many Fiji islands, but what sets them apart is the space, the choices and our facilities. At Musket Cove Island Resort you will find the pace of life smooth and unhurried. Located on Malolo Lailai in the picturesque Mamanuca Islands of Fiji, Musket Cove Island Resort is the perfect location for your Fijian escape, with romantic Beachfront bures perfect for honeymoon couples, Villas for families or groups and Large Garden Bures for those wishing to experience the island lifestyle. Idyllic snorkelling and scuba diving where you can discover an abundance of tropical fish and colourful coral reef backdrop. Day cruises, fishing and Island hops allow you to experience the unique Mamanuca group of islands. World class Mandara Spa, complete with indulgent treatments, massages and relaxed surroundings. Swaying coconut palms, sweetly perfumed frangipanis and 12 kilometres of untouched beaches. Warm sunshine, Fijian hospitality and culture. Over 100 friendly, Fijian staff, ready to welcome you to our island home. Musket Cove’s accommodations are large, open and well suited to enjoying the island lifestyle with comforts that most cannot be without. All rooms have been renovated with a chic island lifestyle in mind and traditional Fijian trimmings. 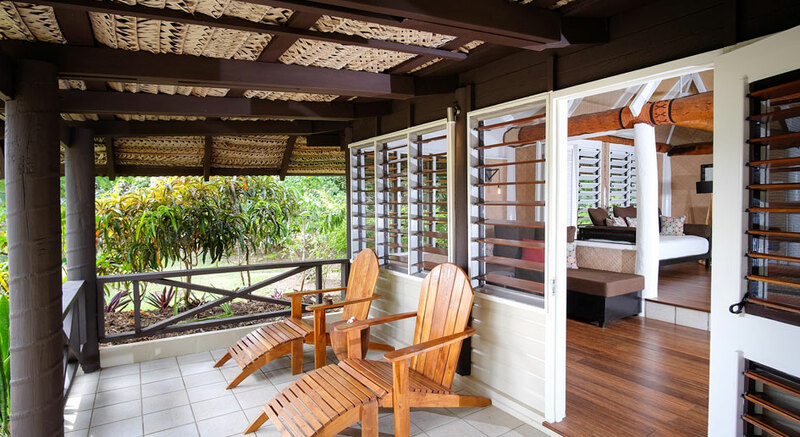 The 55 Rooms, Bures and Villas reflect a rustic and relaxed Fijian style with categories including: Hotel Rooms, Garden, Lagoon and Beachfront Bures, Resort and Armstrong Island Villas. Musket Cove has 400 beautiful acres on the island of Malolo Lailai, allowing plenty of room to explore all the islands beaches, the organic farm or any of the many activities that the island has to offer. Across the airstrip you will find our neighbors, Lomani Island Resort and Plantation island resort, both separately owned, but you’ll find them welcoming should you wish to look around our use their dinning options. Transcend. Transform. Trust the moment. A single moment spent in joy colours all the moments to follow. At Mandara Spa, while our therapists and aestheticians bestow their expert touch on your physical body, its effect resonates through to the core of your being. Much can happen in a Mandara moment. What are you waiting for? The name Mandara comes from an ancient Sanskrit legend about the gods’ quest to find the elixir of immortality and eternal youth. Mandara Spa has embraced the legend with unique and exotic spa treatments that reflect the beauty, spirit and traditions of those ancient times and the soul and ritual of Asian culture. The legend tells of the ten stages of destruction and the means by which these are overcome. In this legend Mandara Giri is a sacred mountain from which flows the water of life – a magical elixir with the power to keep you forever young. We cannot promise immortality but when you experience one of our spa treatments, you will feel radiant and revitalized. You may even feel as if you could live forever. When planning your special day a palm fringed tropical island with warm friendly staff is usually high on the agenda. Another priority would be to find a place that has a clear understanding of your needs which ensures your magical day is one of dreams. The team at Musket Cove are committed to make sure every wedding is as individual as you are. In addition, the never allow more than one wedding on any given day – that way, you’re assured of receiving their undivided attention, as it should be. At Musket Cove each wedding is personalised to suit your needs. The Weddings A la carte section offers an array of options to assist in tailor making this memorable occasion.